Whether you love it or think it's a "Hallmark holiday," are alone or spend it doling out a grotesque amount of PDA, there's pretty much only one thing everyone can agree on about Valentine's Day. 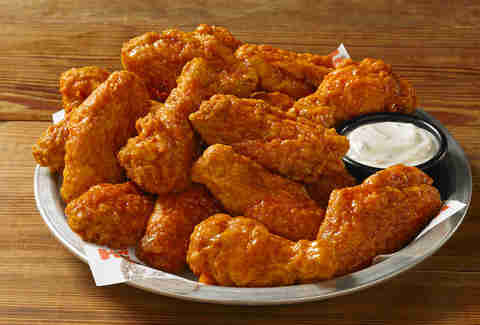 The deals for free food are wonderful. The deal: Drop into the mouse house and get a free brownie square. That's it. No other purchase required. It's just a brownie, but it's a free brownie. The deal: With the purchase of an adult meal, diners get up to two free kid's meals. Additionally, if you have the McAlister's app, you'll be landing a complimentary tea and a sweet treat in your account around Valentine's Day. That's in celebration of the deli's new rewards program. The deal: Members of the sandwich shop's Potbelly Perks club get a buy-one-get-one deal on cookies through the app. 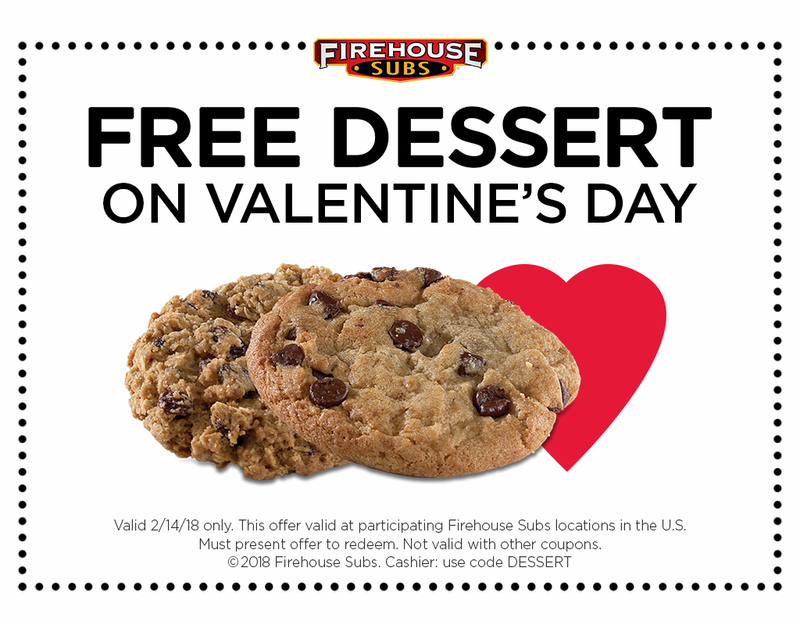 The deal: Get a meal and you'll land a free cookie or brownie in honor of love. All you have to do is show this coupon. The deal: The pretzel shop you associate with malls and airports is offering a buy-one-get-one deal on original and cinnamon sugar heart-shaped pretzels. Download the app before February 13 at 12pm ET to get the deal, which is only available on the app. The deal: Buy a bottle of wine, large cocktail, or 6oz growler and get a free mystery pizza. There are only locations in the Boston area, but a bottle of wine and pizza sounds like a solid Valentine's evening. The deal: This quick-serve chain will give you a free entree if you buy an entree AND share a kiss with someone or something -- anything from your significant other or your hand or a picture of a celebrity (that one's kind of creepy), according to a press release. The deal: Grab a "sweet deal for two" at CPK. It's an appetizer, two entrées, and a dessert for $35. Share a pic from the chain and you might win a $100 gift card. The deal: Get $3 off an ice cream cake that costs $15 or more. Grab the coupon here or use the code "CAKE" if you're ordering online. The deal: Whole Foods' Whole Trade certified roses are on sale if you're looking to score some flowers last minute. You can snag two dozens roses for just $24.99. If you're a Prime member, they'll be just $19.99. The deal: Propose at a Panera, share a photo of the proposal, and Panera might cater your wedding. Full details here. While there aren't deals on these, there are a handful of pizza shops cooking up heart-shaped pizzas for Valentine's Day. 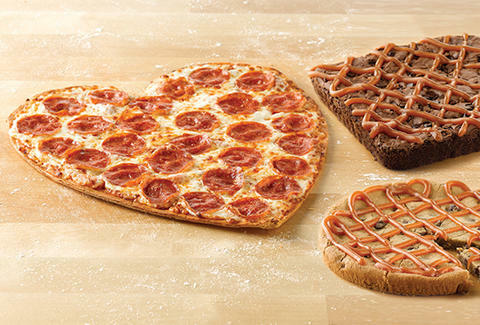 Here are the details on how to get your hands on a heart-shaped pizza. If you know of Valentine's Day freebies and deals we missed, email us at news@thrillist.com and we'll add 'em here.